Adrienne has been in mortgage lending since 1996 with previous roles as a Loan Processor and has been a Mortgage Loan Officer since January 2005. She was previously a board member of Mortgage Bankers Association (MBA) serving as secretary for 2011-2012 and Second Vice President for 2012-2013. 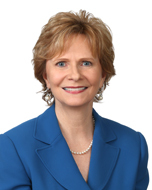 She recently served as Treasurer for Tallahassee Women’s Council of Realtors for 2015 and 2016. Adrienne was awarded Top Producer for production in units and volume in 2015. She takes pride in offering honest, reliable service along with competitive pricing and fees to all of her clients. She has extensive knowledge in mortgage lending products including Conventional, FHA, VA, USDA Rural Housing, Construction loans, home renovation loans and land loans. Please contact her today to see how she can help you with your financing needs. Deborah has been in Tallahassee as a Mortgage lender for over 30 years and is a Top Producing mortgage loan officer at Hancock Whitney Bank. She enjoys working with her clients to help educate them on the various products that will meet their financial goals. She is well versed in mortgage lending and strives to make the process easier in a complex lending environment. Deborah has vast experience working with all types of loan products ranging from FHA, VA, USDA, Jumbo, construction permanent loans and a purchase renovation loans. She has the knowledge and resources to help clients with the purchase of a primary, secondary or investment property. You will thoroughly enjoy working with Deborah as she will keep you in the loop throughout the process, is conscience in providing very good estimates, and works hard to eliminate surprises from beginning to end. Majority of her loans close within 30 days. Lisa has been with Capital City Bank for more than two decades. A mortgage banker since 2001, Lisa offers broad knowledge of the local Real Estate market and extensive experience in both construction loans and all residential programs including Jumbo, FHA, VA and Conventional loans. She takes great pride in being there for her clients at every stage of the mortgage process, offering personalized service, guidance and advice. Lisa works hard to make what can be a complex process simple for her clients. She has a proven track record and has been recognized as a top producer at Capital City Bank consistently since 2006. For her knowledge and experience, Tallahassee Board of Realtors has selected her to serve as 2017 Affiliate Director. Lisa has spent the last 20 years of her career helping meet her client’s needs and now looks forward to assisting you with your next purchase.